The water glass is an essential piece in tableware. Peugeot presents a refined collection where each glass is designed to exceed its purpose and to honour the most beautiful tables. With its desire to elevate everyday objects so that the ordinary is wonderful, Peugeot has designed an exclusive collection that revisits the water glass with a timelessness which will make it a must-have on all tables, from the simplest to the most elegant. 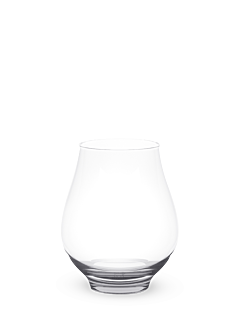 More so than the wine glass, the water glass asserts an identity, an originality, a style and an argument for the Art de Vivre that makes a piece essential beyond its functionality. Tall in shape, resolutely contemporary, with the bottom of its bowl rounded, giving it an undeniable elegance, the water glass design in lead-free crystalline glass will match with all dishes for an authentic, harmonious and refined effect, even in the simpler moments of everyday life. The Peugeot water glass will immediately find a special place on all tables, whatever their style.